The Metropolitan Police should appoint a senior officer to ensure the whole force is prepared to tackle online crime, according to a London watchdog. This is one of the recommendations in a report by the London Assembly’s Police and Crime Committee’s Online Crime Working Group. The report examines trends in online crime and assesses how the Met is dealing with the threat to businesses and the public after gathering evidence from stakeholders. The report’s authors believe a general capability by all police officers and staff is required in addition to the Met’s new Fraud and Linked Crime Online (Falcon) Command. “Both inside and outside of the Falcon command, the Met needs to determine what skills and training its workforce needs to tackle the challenge of online crime,” the report said. The report added that as the Falcon command matures, it needs to develop its methods for disrupting criminals and preventing crimes from happening in the first place. Falcon must also build a workforce with the right balance between police officers and civilian staff because “piling in loads of uniformed officers is not the way to deal with online fraud”, the report said. 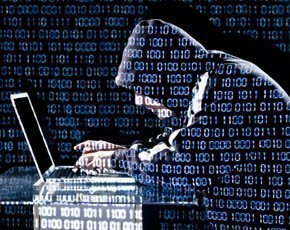 Increasingly, almost all crimes have a cyber dimension to them and fraud, in particular, has been transformed, with 70% of frauds now carried out using the internet, according to the report. Of the 1,004 Londoners surveyed, a higher proportion had been the victim of an online theft or fraud than of more traditional forms of property crime, such as burglary or robbery. According to the report, 63% of Londoners are worried about becoming victims of fraud through using online banking or by using their credit or debit cards on the internet. City of London Police estimated that, across England and Wales, 1,160,500 frauds, with a loss worth £12.1bn, went unreported by individuals and businesses during 2013-14. During a site visit to City of London Police in November 2014, the Online Crime Working Group learned that some large businesses take a commercial decision not to report online crimes to the police, particularly if they feel there is little chance that the perpetrators will be caught. The report also recommends that the London mayor should launch a city-wide campaign in partnership with the City of London Police, banks and other key stakeholders to raise awareness of the threat of online crime. Online Crime Working Group chairman Roger Evans said while it's good to see traditional forms of property crime falling, there is a worrying trend emerging in the rise of online crime. “Criminals can now target large numbers of people for little or no cost and with only limited technical knowledge. E-mail scams, for example, have become a low-risk, high-gain form of theft for criminals,” he said. Evans added that recommendations in the report are aimed at tackling the threat of online crime head-on. “Londoners need to be savvy to the large number of criminals now operating from their laptops rather than our streets. We must create a police force that bears down on criminals who feel that the internet is their safe haven,” he said. Director at the Victim Support charity in London, Jeff Gardner, said cyber crime can be terrifying and make victims feel like they are facing a powerful and invisible attacker. “Many victims feel like there’s nothing that can be done to stop online attackers and that they are alone, but this isn’t the case,” he said. But Gardner added that it is also important for people to take steps to protect themselves online too by following guidelines on the Victim Support website. Guidelines on ways to protect individuals and businesses are also available on the website of the government-supported Get Safe Online campaign and Cyber Streetwise campaign. The Mayor's Office for Policing And Crime (Mopac) should commission experts to help the Met develop profiles of online criminals in London to help tailor its response. The Office for National Statistics should introduce specific questions into the Crime Survey for England and Wales to measure online victimisation. Mopac should develop specific questions to capture individuals’ online victimisation in London and extend its Business Attitudes Survey to measure online victimisation among London’s businesses. The mayor should lead a London-wide campaign to draw attention to the threat of online crime and raise awareness of Action Fraud to improve reporting of crime by individuals and businesses. Mopac should help Safer Neighbourhood Boards to raise awareness about online crime and the role of Action Fraud. To help the Met to avoid viewing cyber crime in isolation, Mopac should commit that its future strategies across all themes will directly address pertinent internet risks. Before the Met expands the Falcon command to phase three, it should assess whether it would be more beneficial to operate with a higher proportion of expert civilian staff relative to warranted officers. Mopac should develop and publish an online crime performance dashboard on a quarterly basis from 2016-17 onwards. The Met should identify a senior ranking officer to be responsible for mainstreaming cyber crime across the whole of the force. In August 2015, once the Falcon command has been operating for a year, the Met should extend Falcon’s buddying system outside of the command. The Met should set a deadline for when it wants all staff with public contact and/or investigative duties to have undertaken the cyber crime e-learning programme.